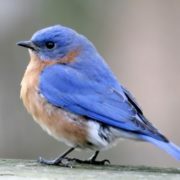 Bluebird (Latin Sialia) is one of the few thrush genera of the New World. 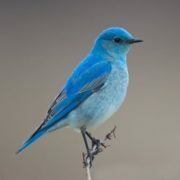 It includes three species common in North and Central America. 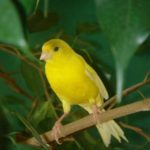 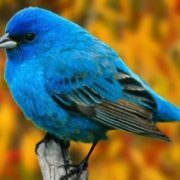 They are songbirds named for the males’ bright blue feathers. 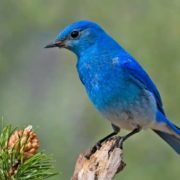 Their songs are the earliest sounds of spring in North America. 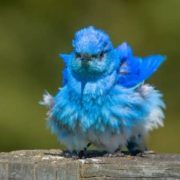 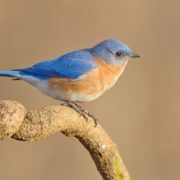 There are three species of bluebird: the eastern bluebird (Sialia sialis), the western bluebird (Sialia mexicana), and the mountain bluebird (Sialia currucoides). 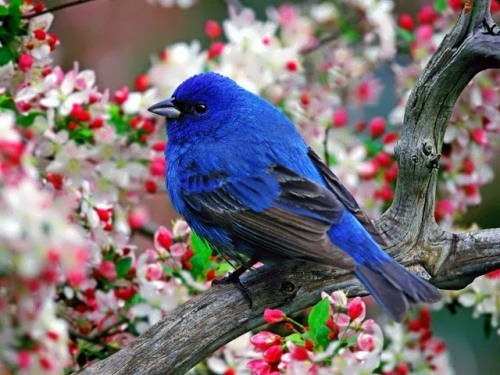 They live in fields, orchards, parks, and gardens. 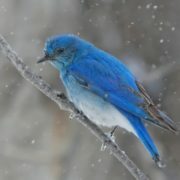 Many bluebirds avoid cold winters by flying south for the winter. 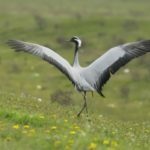 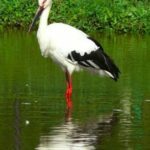 These birds are 15-20 cm long. 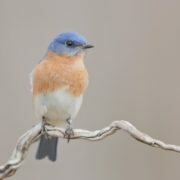 The males are mostly blue, while the females are mostly bluish gray. 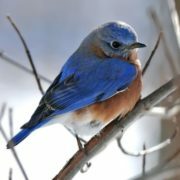 Bluebirds are monogamous, like most of the thrush. 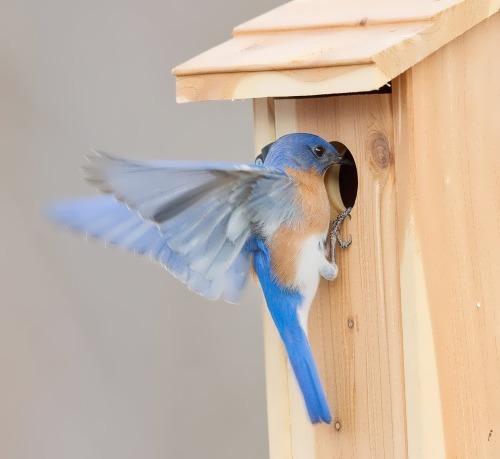 Bluebirds build their nests in holes, such as in trees, fence posts, or nest boxes that people make. 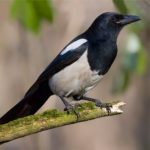 Their eggs are bluish or almost white, monochrome. 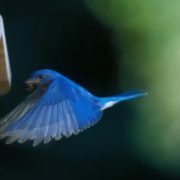 They feed on insects, which are caught in flight. 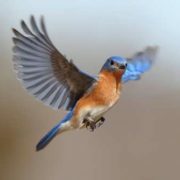 In the culture bluebird is often a symbol of happiness and joy. 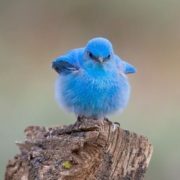 Many well-known American songs use this image (Over the Rainbow, I’m Always Chasing Rainbows, Bluebird of Happiness). 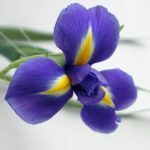 It is also presented in the folklore of Native Americans. 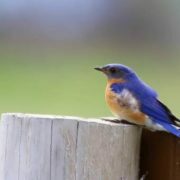 Bluebird was chosen a state bird in Idaho and Nevada. 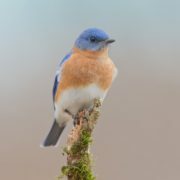 Populations of bluebirds have declined greatly in large parts of their ranges. 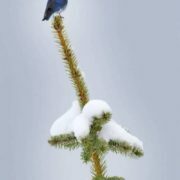 People destroy their natural habitat. 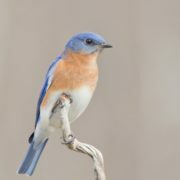 Agricultural and forestry activities reduce the availability of the nesting cavities that bluebirds require. 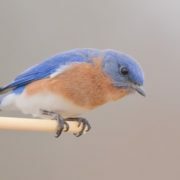 The use of pesticides has also affected bluebirds. 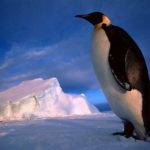 They also suffer from competition for their essential nesting cavities with other birds. 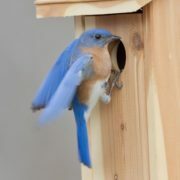 Volunteer programs provide these birds with artificial nest boxes.